Avocado is my all-time favorite food. I could probably eat at least three a day, but alas, I must restrain myself. 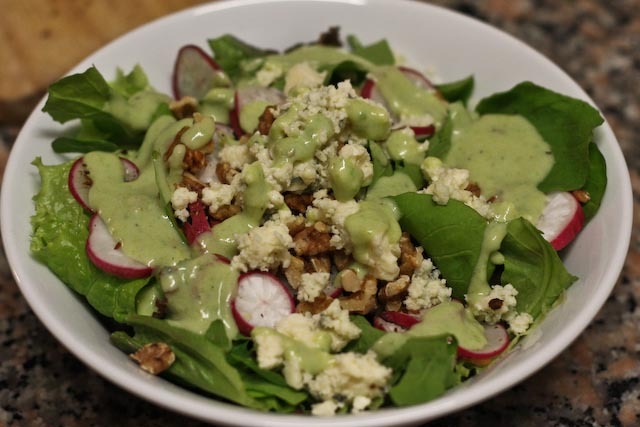 I found a recipe for avocado buttermilk dressing in Real Simple a few weeks ago, and thought I’d give it a try with this healthy, tasty springtime salad of radishes, walnuts, and Gorgonzola cheese. Radishes are a well-kept secret in the vegetable world, I think. I never really ate them much until now. We’ve had them roasted (sort of an acquired taste), but I love them sliced thin in salads. Yum! 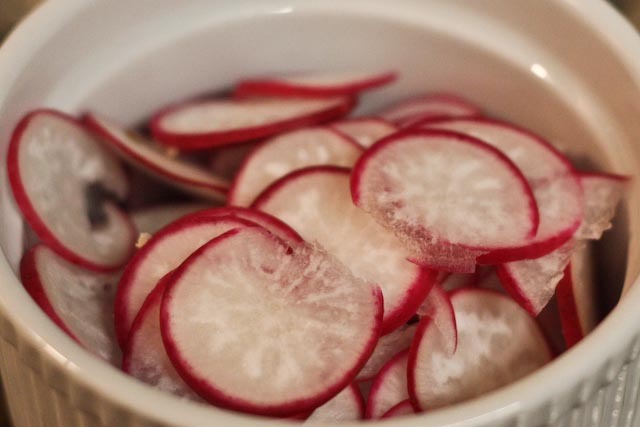 Plus, radishes are high in fiber and a great source of vitamin C. Boo yah! I toasted the walnuts beforehand for about 10 minutes in a skillet over a medium flame, tossing constantly to avoid burning. Toasting walnuts (or any other nut) brings out their flavor and makes them an even crunchier addition to your salad. The great, the glorious, the avocado. Avocados contain monounsaturated fats, which are the “healthy” type of fatty acids that can actually help lower cholesterol. Plus, they pack tons of essential vitamins and nutrients like folates, potassium, vitamin C, vitamin E, and vitamin B6. A true super food! 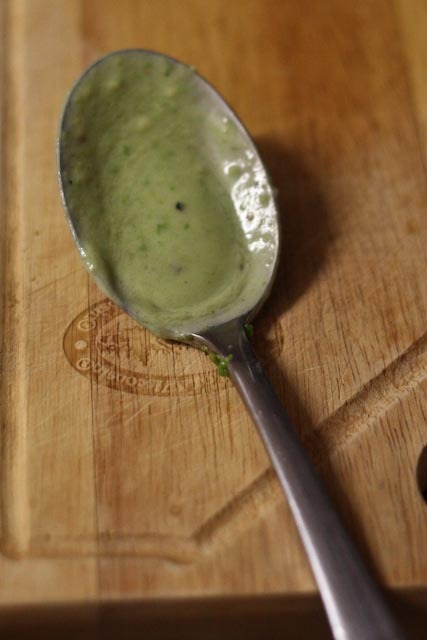 If you don’t have buttermilk on hand (and you don’t want to buy a half gallon of it just to make this dressing), you can use regular milk and lemon juice to make your own buttermilk. The acid in the lemon juice creates the same properties in the milk as buttermilk. Real buttermilk would probably taste even better, but this is a good substitute in a pinch. 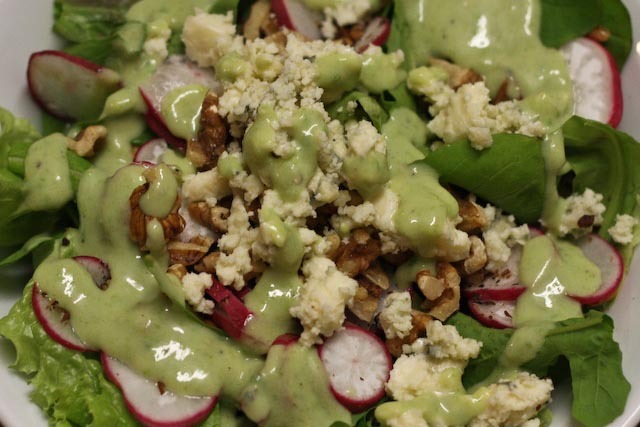 A delicious and healthy springtime salad. Divide the lettuce into four bowls. 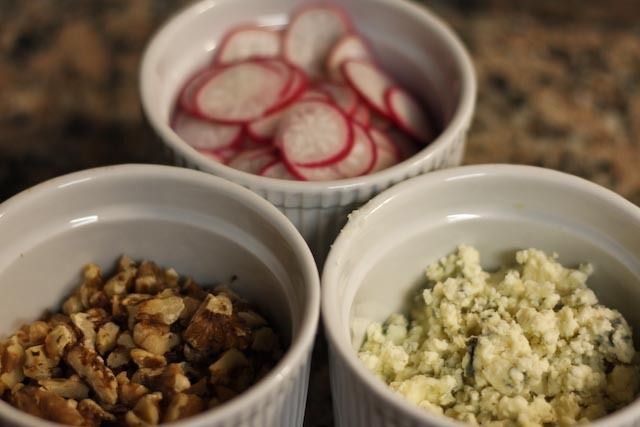 Top with sliced radishes, walnuts, and gorgonzola. 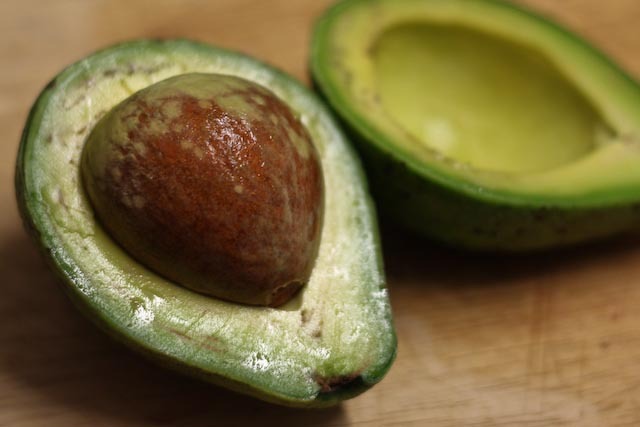 In a food processor, blend together the avocado, buttermilk, red wine vinegar, salt and pepper until smooth and creamy. Drizzle over salad before serving.